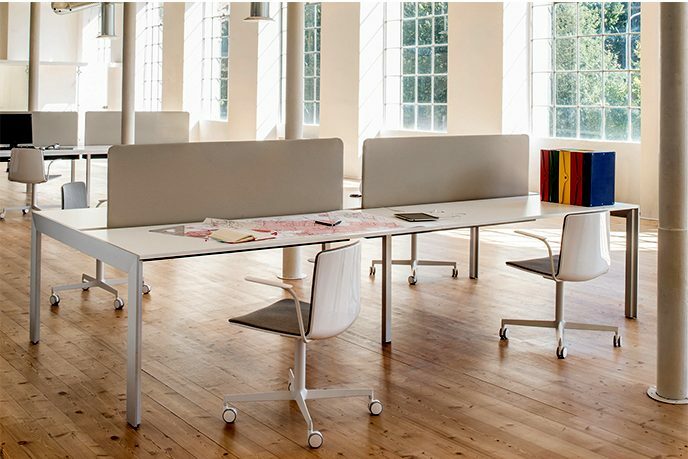 Matrix workstation is available in both 2 seats and 4 seat options. 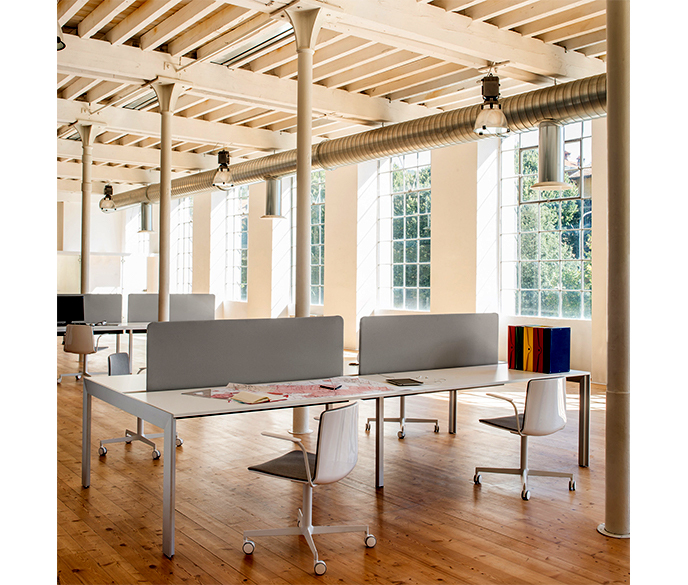 Matrix Workstation is designed with an extruded aluminium frame, anodized or white powder coated finish. Accessories include a dividing screen covered in fabric for the definition and separation of space. Ideal for contract or residential projects.